Beware that while the base 2011 Ford Edge starts at $27,995, the 2011 Edge Sport starts at $36,995 and can top $40k with a few options. The excellent Vista Roof—an exceptionally large sunroof that doesn't infringe on headroom as much as those on other vehicles—is one we'd recommend. Provided you don't need a third-row seat, the 2011 Ford Edge is at last, at the leading edge of mid-size crossovers, with one of the best driver interfaces in the business. The 2011 Ford Edge doesn't bring radical change to America—at least not from the outside—but it's a beefier take on the five-seat crossover that gave Ford new life after the Explorer fell to earth. Ford's calling this Edge a "refresh." On the market five years already, the Edge has been pretty thoroughly refurbished but Ford doesn't call it "all-new"—possibly, to keep all its new crossover converts in the fold. But all the Edge's powertrains are new, and the interior's graced with Ford's MyTouch system, which mimics the sensitive interface you'd find on an Apple iPhone. 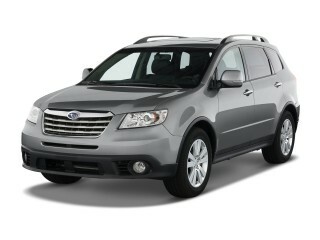 The 2011 Ford Edge is considerably sleeker from the front and front-three-quarter view than its predecessor. When that first 2007 Edge was launched, Ford was spreading its corporate grille—with three chrome bars—across all its passenger vehicles. The 2011 update pulls off the difficult trick of making the front end look lower and more streamlined by making the grille deeper but sweeping back the front light units, which are smaller. And most importantly, there's a curvy new instrument-panel design that finally eschews the boxy but basic look that has greeted Ford drivers for most of its vehicles for years. Ford's focused more attention on the powertrains in the 2011 Edge. In the middle sits a revamped version of the Edge's 3.5-liter V-6, now putting out 285 horsepower and 253 pound-feet of torque. 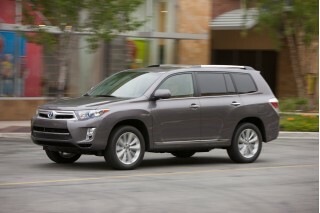 The upscale option is the 3.7-liter V-6 found in Lincolns and in some Fords, as well as the Mazda CX-9. It produces 305 hp and 280 lb-ft of torque, which Ford reminds, is more than the BMW X5 or Lexus RX 350. Ford claims improved fuel economy's improved, but no EPA figures are stated. Both engines are paired with Ford's latest six-speed automatic transmission. Also for the new model year, the 2011 Edge counters its bigger grille and tougher appearance with the first appearance of a new eco-friendlier engine, a 2.0-liter turbocharged four-cylinder that's a part of the company's "EcoBoost" family of engines. The bigger engine story—but the smaller engine—is the 2.0-liter turbocharged EcoBoost four. With a six-speed, dual-clutch gearbox, Ford points to a potential 30-mpg highway rating. 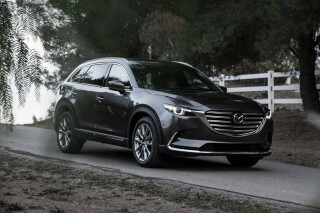 A retuned suspension gives all Edge models a slightly sportier feel, but it's the Sport model that adds paddle-shifters and appeals to those seeking a little more performance. Big 18-inch wheels will be offered on upper trim levels, while the Sport can be had with huge 22-inch wheels. A new braking system will be combined with anti-lock, traction and stability control; hill start assist; trailer sway control; and adaptive cruise control. All Edges get Ford's capless fuel filler; a USB connection for music players; a blind-spot detection system; and MyKey system, which allows parents to program in driver-safety alerts for younger drivers. The MyTouch system will be standard on Limited models and the revamped Edge Sport. HD Radio is a new option, and with it comes iTunes Tagging, which lets drivers note a song on the radio and add it to a purchase list on their iTunes accounts via a docked iPod or iPhone. The styling and the design of the 2011 Ford Edge works; while we were lukewarm on the overall profile of the first Edge, we like this one. On the outside, the 2011 Ford Edge is entirely familiar, but we're liking the look of the new edition more than that of the old. The big grille goes deep in a Volkswagen way, so massive we doubt Bobby Flay would challenge it to any face-off. The silhouette is more of an echo of the original Edge, though the fenders are a bit more pronounced. It's made a name for itself with a smoothly sculpted shape, though, and mostly the Edge carries that sensibility over intact. Inside, the dashboard, instrument cluster, center stack, and console have all been redesigned. The plastics are nicer, most of them using soft-touch materials, and their shapes are less blocky. Vertically grained wood trim gives the dash some heft, and like BMW, Ford's streamlined its controls for better graphic impact. A large LCD screen dominates the control stack and it houses Ford's MyTouch system, which lifts the iPhone interface neatly into the automotive realm. The Edge Sport model has blacked-out grille inserts, a body kit, and other subtle visual cues, along with grey inserts and contrasting stitching on the seats—like the Mustang, as Ford points out. Ford engineers also improved the Edge's aerodynamics, dropping the drag coefficient from 0.385 to 0.363. Their many tricks included cutting the size of the openings where air enters the engine compartment by 40 percent, but directing the underhood airflow better. Strong, responsive, and economical powertrains, combined with reasonably responsive handling, make the 2011 Ford Edge more satisfying to drive than you might expect. The standard 285-horsepower 3.5-liter V-6 puts out 20 more horses than it did last year, and provides plenty of torque to move the Edge with authority; it's a good companion to the smooth, responsive six-speed automatic as well. "Linear and seamless" are descriptors that Ford provided for the powertrain, but that's not so true; the accelerator pedal, in fact, requires a bit of learning to avoid jerky takeoffs from the abundant power at the top of the pedal travel. Later this year, another powertrain will be available: a direct-injected, turbocharged 2.0-liter four that puts out as much power as a V-6 with gas mileage at least 10 percent better. Beyond the 3.5-liter, the other engine option comes only in the low-volume 2011 Edge Sport, fitted with a 305-horsepower 3.7-liter V-6—40 more horsepower than last year's, and the same engine as in the Mustang V-6—mated to the six-speed automatic, but with paddle shifters added for sportier gear changes. The Edge overall remains merely acceptable for handling; don't expect it to respond like a sport sedan, but it's a lot more buttoned-down and reassuring than truckier utility vehicles. 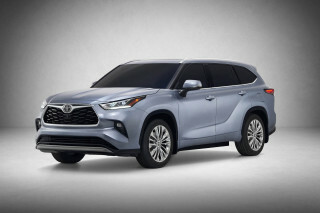 The Edge Sport, with gigantic 22-inch wheels and low-profile tires, corners flatter than the base model, although its roll center is actually a touch higher due to the huge wheels. 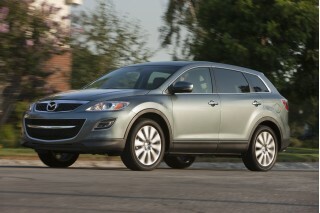 Specified with the trailer towing package, the 2011 Edge will haul up to 3500 pounds. 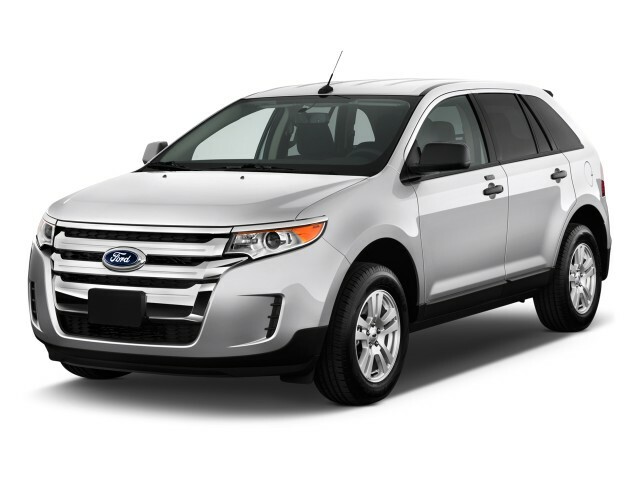 The 2011 Ford Edge doesn't have a third-row seat as do many other vehicles its size, but that pays dividends in passenger space for five. Although the 2011 Ford Edge has mid-size exterior dimensions, Ford has smartly opted to fit just two rows of seating into this tall wagon—meaning that there's plenty of space for all. The front seats are nicely upholstered and comfortable, although we're baffled by Ford's inconsistent power seat controls: fully powered for the driver, but a power lower cushion with a manual recline lever for the front passenger. Ford claims that the 2011 Edge has best-in-class legroom in the second row, and we're not inclined to doubt them. The rear seats now recline, and we fit four six-foot adults into the Edge without complaint. Ride quality is on the firm side, but absorbent enough; and while the Edge Sport had a bit more road noise and a more active ride, we were surprised that it wasn't rougher still. Build quality was very good considering that at the time of this review, we've only driven pre-production vehicles. We heard no interior creaks or other noises, and the noise suppression is good on the base car. The Edge Sport, as noted, produces more tire noise, an inevitable price to pay for its huge, very low-profile tires. There's a lot of safety equipment to speak of in the 2011 Ford Edge, and crash-test ratings are respectable. The 2011 Ford Edge has achieved an overall score of four stars in the revised, more stringent federal government crash tests, including three-star ratings for frontal impact and five stars overall for side impact. The Insurance Institute for Highway Safety extended its test results, from pre-2011 vehicles, to the new Edge. That means it will retain its top 'good' results in frontal and side testing, but its 'acceptable' roof strength rating keeps it from earning the Institute's Top Safety Pick status. As an update, this model was later retested, and models made after February 2011 do get the top 'good' rating in the roof test and Top Safety Pick status. One of the areas Ford focused on for the 2011 Edge was improving the brakes, both in feel and performance. The rear rotors are larger this year, and the braking progression has been retuned for more initial bite and shorter overall stopping distances. Other brake-related features added for 2011 include hill-start assist, which prevents the vehicle from rolling backward at stops; trailer sway control adapted from Ford's F-150 pickup line; and adaptive cruise control and collision warning, which use front-facing radar to calculate the distance to the car ahead. There's also Ford's Blindspot Information System, which flashes a light when a car in in the adjacent lane out of sight of the mirros, along with cross-traffic alert, which can detect traffic approaching from the side when backing the car out of a parking space. The 2011 Ford Edge offers one of the best interfaces in the business, cost no object; but beware that well-equipped Limited and Sport models have Lincoln-like prices. The 2011 Ford Edge is a very well-equipped vehicle in many respects; but undeniably, the star of the feature set is the new MyFord Touch interface. With it, delicate tap on the screen adjusts climate or audio controls—and instantly renders click-wheel systems like iDrive and COMAND and MMI hopelessly out of, er, touch. Steering wheel controls also cycle the LCD screens on the instrument panel and let drivers customize the information displayed. We think, altogether, it's possibly the best dashboard offered on mass-market vehicles today. 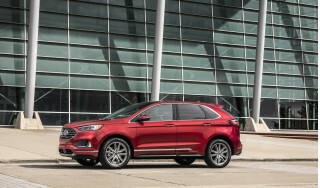 MyFord Touch system will be fitted, Ford estimates, to 80 percent or more of 2011 Edge models, and it also lets drivers operate the telephone, entertainment, and navigation systems using voice commands, as did Sync, but now also the climate control. While the multiple options for making something happen in the car take explaining, we found MyFord Touch easy to use, especially once we stopped stabbing at the central touch screen and began using the thumb controllers on each face of the steering wheel to supplement our voice commands. The array of voice commands and syntax has expanded from 100 Sync options to more than 10,000 today, and Ford has flattened the command structure somewhat. This means that drivers can tell the system to "play Elvis Costello" rather than having to specify "entertainment" or digital music first—though, oddly, it's still necessary to say "climate" to change temperature settings. There are many more features to MyFordTouch than we could cover here; one is standard turn-by-turn navigation instructions (even without a nav system fitted) plus the ability to send routing instructions from Mapquest or Google Maps to the car through a paired device. One of the few issues we had with the switchgear is that the hazard lights are also activated by a touch switch—and are too easily activated accidentally when reaching for other features. All the basic utility features that you might expect in this type of vehicle are here as well; the 2011 Edge now has bottle holders in all four doors, as well as the usual (and growing) array of pockets, bins, trays, and other areas to put stuff. It also has a Volvo-esque recess and tray behind the console. On all but base SE models, the central speedometer is flanked by twin displays that can be toggled to bring up a host of information—or very little—depending on the driver's preference. Beyond the mid-range SEL model which includes the electronics, Ford offers an Edge Limited package that's the most luxurious model you can order. The Limited includes a Start-Stop button and proximity key, it replaces the Edge SEL's mock carbon-fiber trim surfaces with matte-finish vertical wood grain, definitely a more elegant look. The Sony sound system, the high-end stereo option, is fitted behind a high-gloss black panel on the center stack that brings the Sony look even into some vehicle controls. The more desirable 2011 Ford Edge Sport adds a black-finished grille, smoked headlamps and taillamps, new body-color side skirts and door cladding, and different front and rear fascias. Aluminum trim on the pedals and paddle shifters matches up with distinctive leather seats. The 2011 Ford Edge V-6 models are typical for the class in terms of fuel economy, but the EcoBoost model to arrive later in the year should place it near the top of its class among non-hybrid models. Ford Edge was previously only offered with a V-6. Later in the year, that will change with the introduction of a more fuel-efficient EcoBoost model, featuring a 2.0-liter turbocharged four-cylinder engine and six-speed dual-clutch automatic; altogether, it's expected to earn an EPA highway rating near 30 mpg. Otherwise, the 2011 Ford Edge is pretty good on gas—yielding 19 mpg city, 27 mpg highway for the standard model, though those numbers fall to 18 and 26 mpg when all-wheel-drive is specified (it adds roughly 175 pounds).